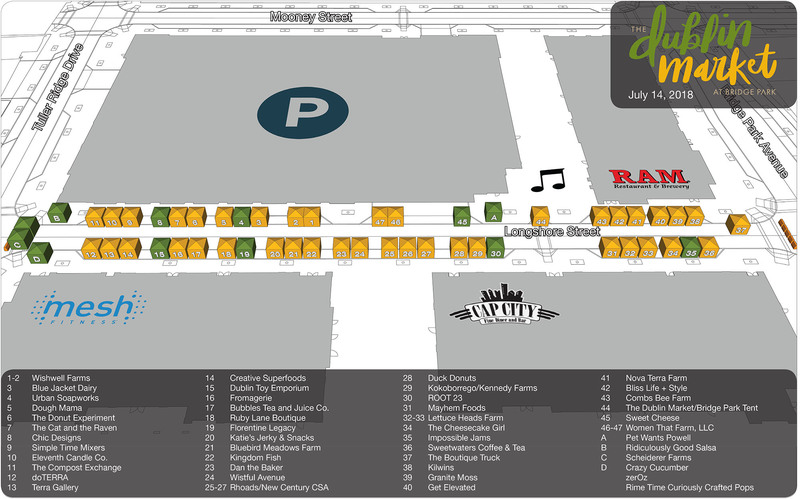 The Dublin Market debuts at Bridge Park starting Saturday, June 9 through September 29. The Dublin Market is will be located on Longshore Street between Tuller Ridge Drive and Bridge Park Avenue. Longshore Garage. According to Bridge Park developer Crawford Hoying, The Dublin Market will be held on Saturday mornings from 9 a.m. – noon rain or shine, and will include baked goods, fresh produce, flowers, live entertainment and more. Free parking is available at the Longshore Garage.